Do we read the suggestion of Huawei well? We have known for some time about the fact that Samsung plans to create a smartphone with a hole for the front camera in the display. The graphic published by Huawei suggests that the Chinese company is planning a similar model. 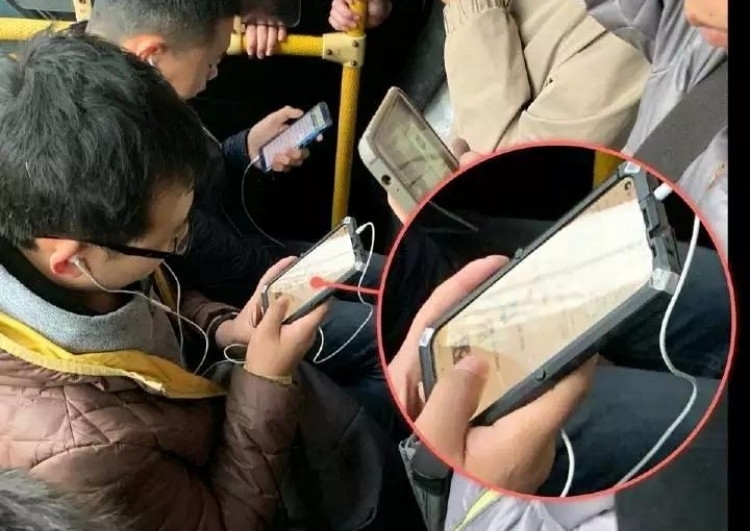 Samsung's plans remain for the time being in the sphere of conjecture and unclear tips, meanwhile Huawei has published in the Chinese social networking site trailer of the new model. The graphic shows the outline of the phone with a frameless screen. There is no notch at the top of the display, but in the corner of the imaginary screen there is a flare - a star. This does not look like accidental graphics invention - it is rather a clear suggestion that in the indicated place there will be something that the new phone will shine. This something will almost certainly be the front camera incorporated in a small hole, currently masked by the "star". The inscription on the graphics says "frameless screen with selfies", and below "See you in December". It is possible, therefore, that it is Huawei that will launch the first "leaky" display. To make it more interesting, the phone with the opening in the screen was able to photograph "live" on the streetcar. The smartphone is enclosed in a protective cover and has a protective glass glued on - but the opening in the screen is perfectly visible. It looks quite big, and the corner space around it - empty. The question - what model is it? 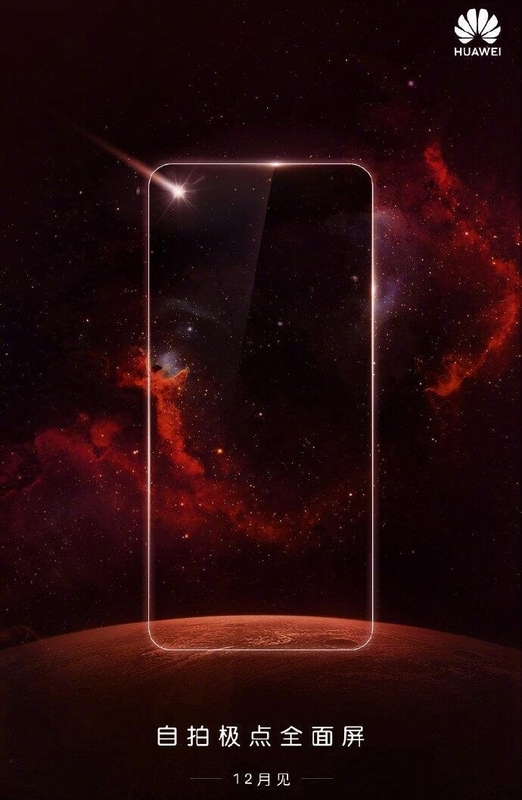 There are rumours that it is Huawei Nova 4 ... In December everything will be clear. Source Weibo and Slashleaks; viewed: 575 times.